Clean lines with popular design, compact structure, simple fashion. 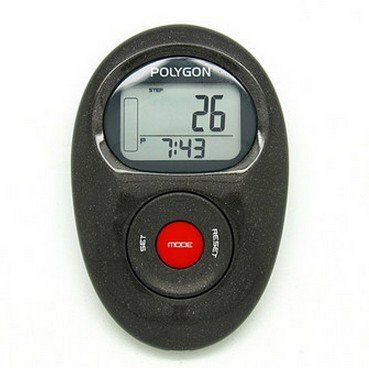 Water-proof and dust-proof design, manufacturing processes non-general pedometer comparable to solve a lot of pocket pedometer put the screen into two days after the dust problem. Functional and backlight screen is easy to carry, can record the movement of the step number, distance, calories consumed calories, movement time, movement of the past memory data movement data, 7 days past the total memory.